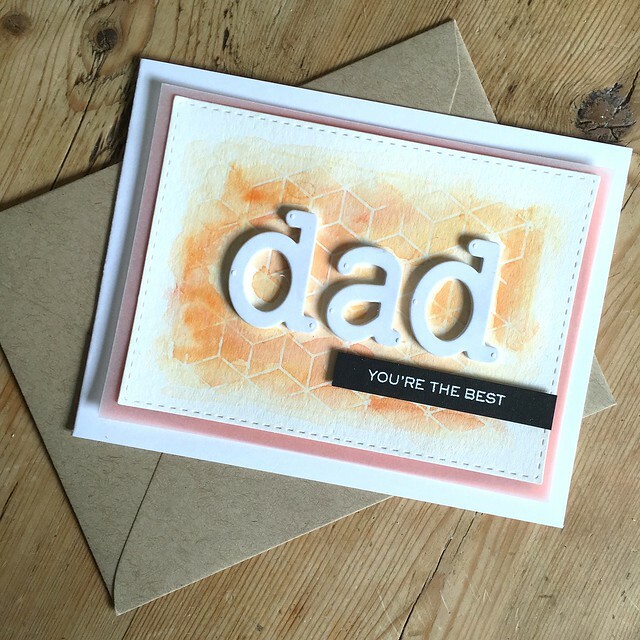 A short and sweet post today! 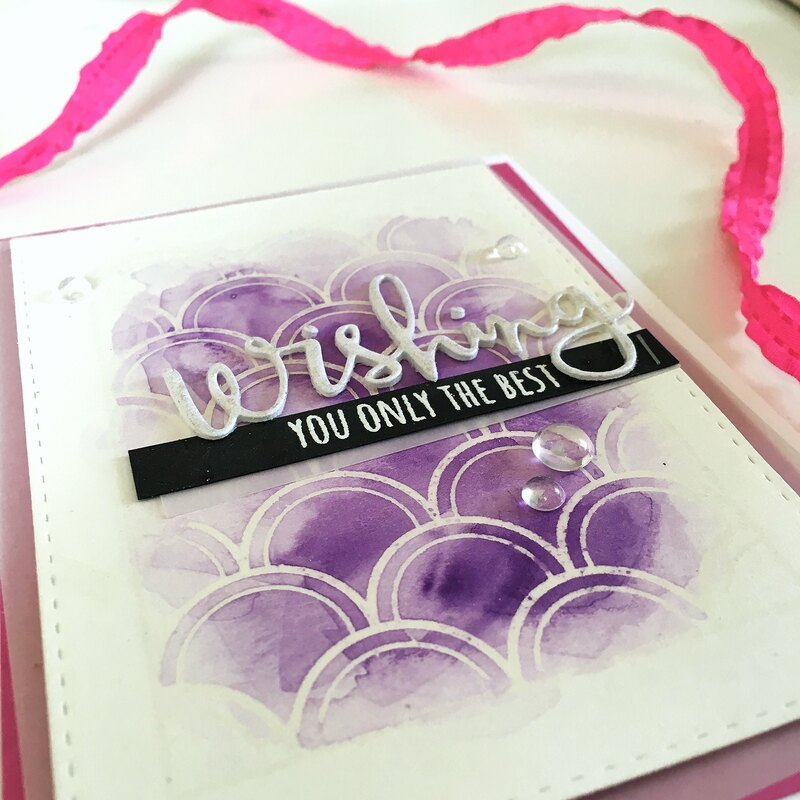 I wanted to share two birthday cards I made for a coworker recently. 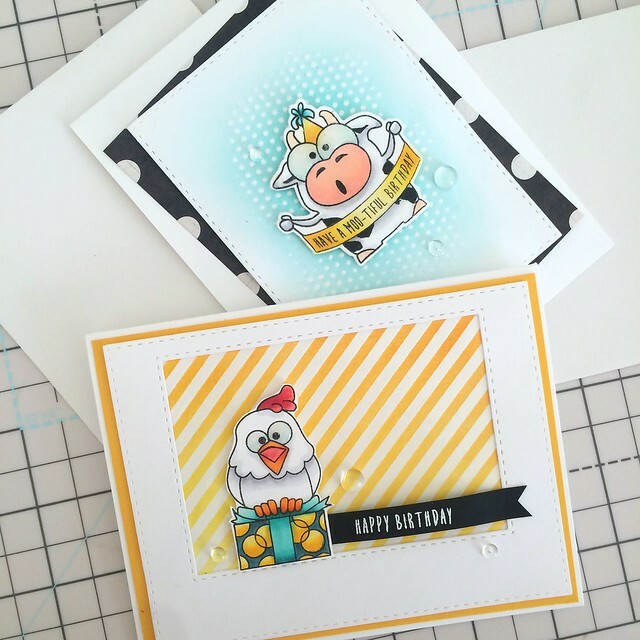 For both cards, I used texture paste and stencils to create the patterned backgrounds – a SSS Tiny Dots stencil for the card with the cow, and a SSS diagonal stripes stencil for the card with the chicken. 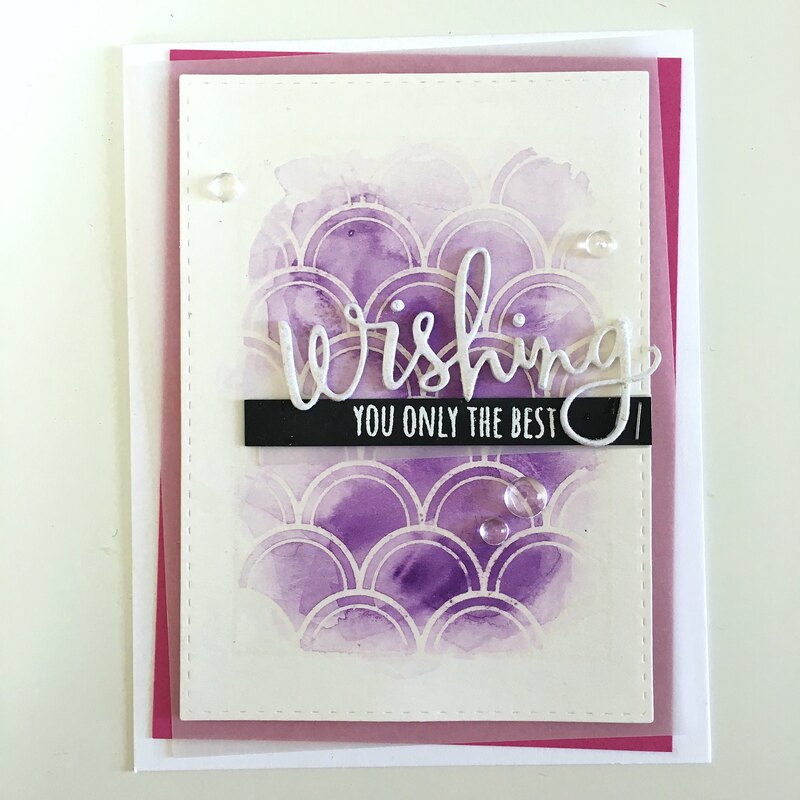 Once the texture paste dried, I used distress inks to do some ink blending over the paste to create a colored background. 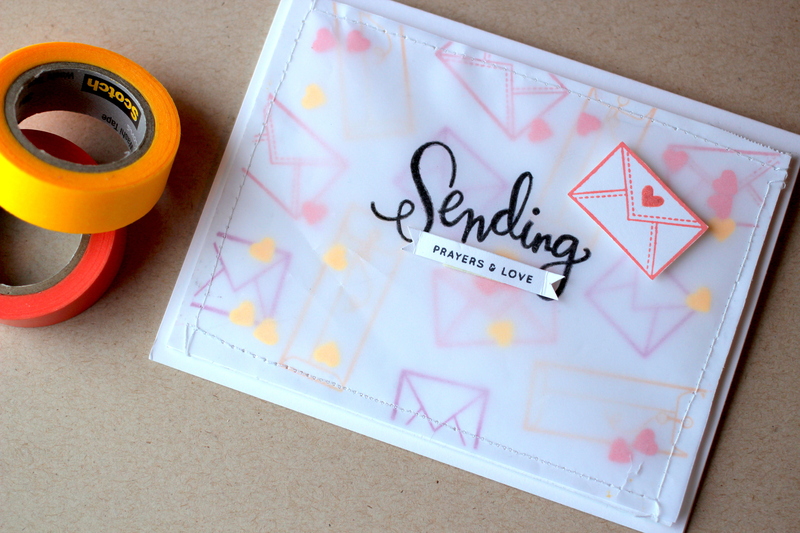 The animals and sentiments are stamped with the SSS Birthday Farm Animals set and are colored with Copics. 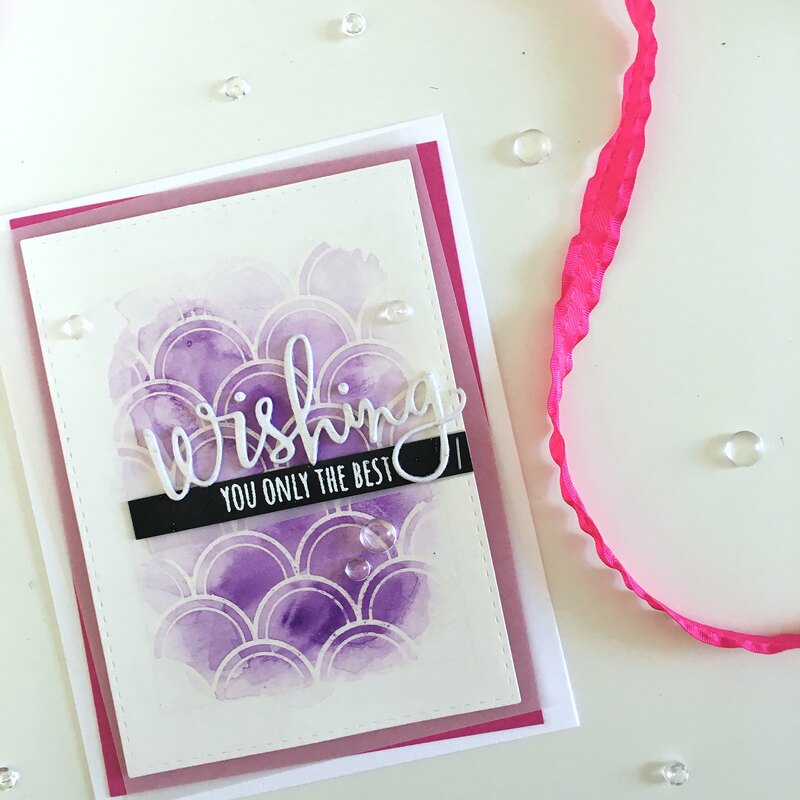 I finished both cards off with a few Pretty Pink Posh clear droplets. 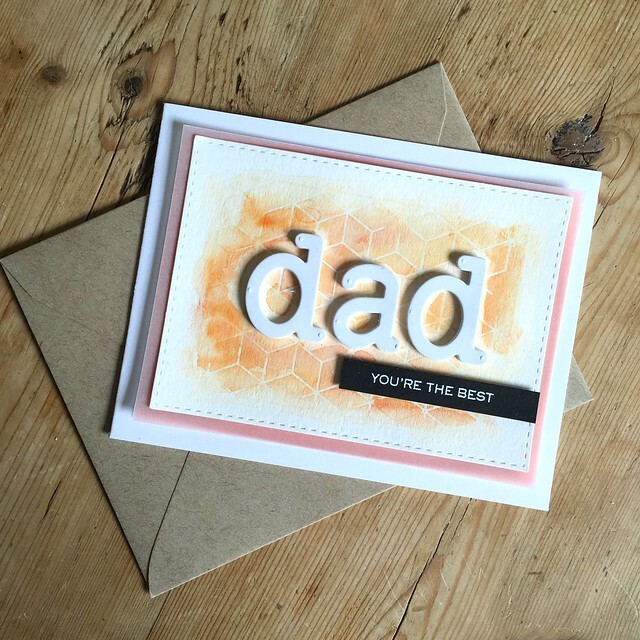 A collection of Mother’s Day cards today! 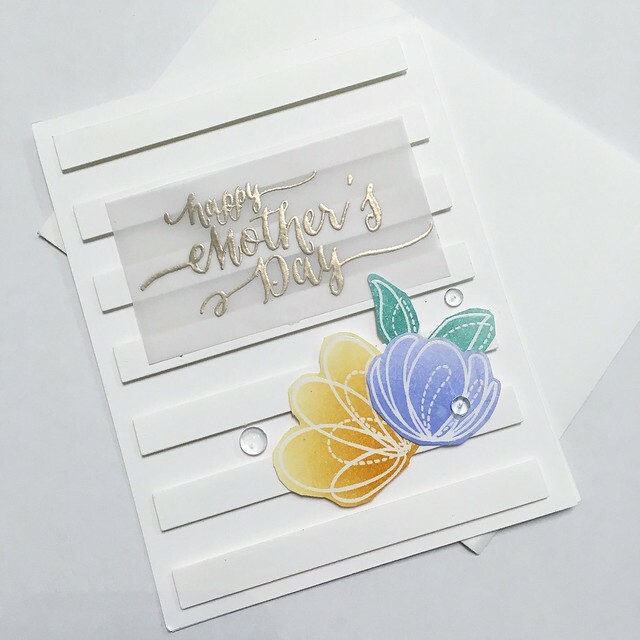 A co-worker asked me to make him a card for his mother, and I ended up making several for him to choose from. After he chose one, I could use the rest to give to my mom, grandmother, and friends who are moms. 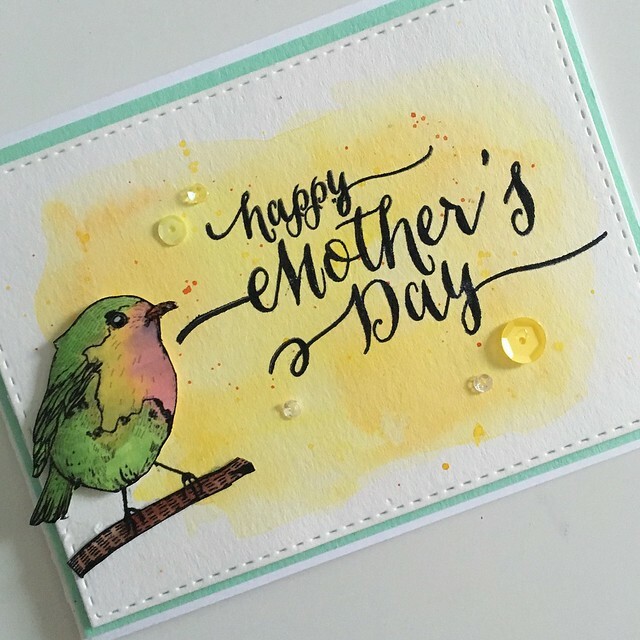 First I started with a water-colored background, a Wplus9 Happy Mother’s Day sentiment and a cute little bird I salvaged from an Online Card Classes practice sheet I colored way back when. 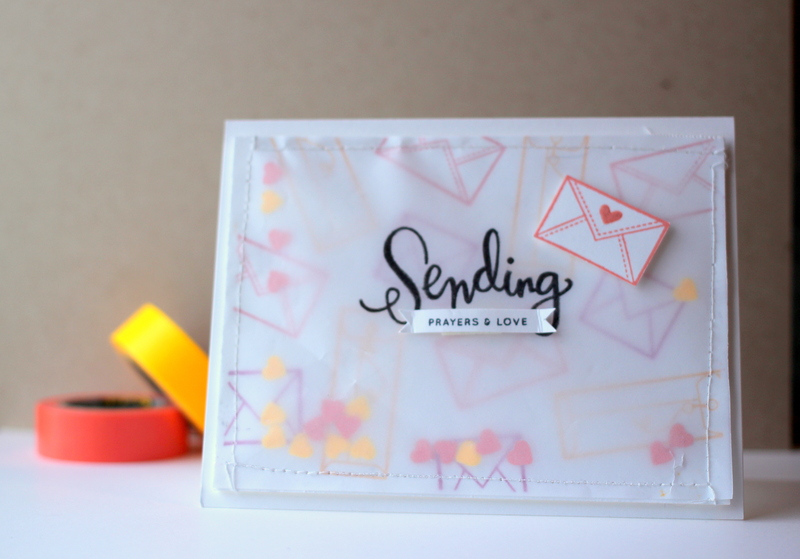 I used a Simon Says Stamp stitched rectangle die to create a border around the panel, mounted the panel to some mint cardstock and added some yellow and clear sequins to finish it off. 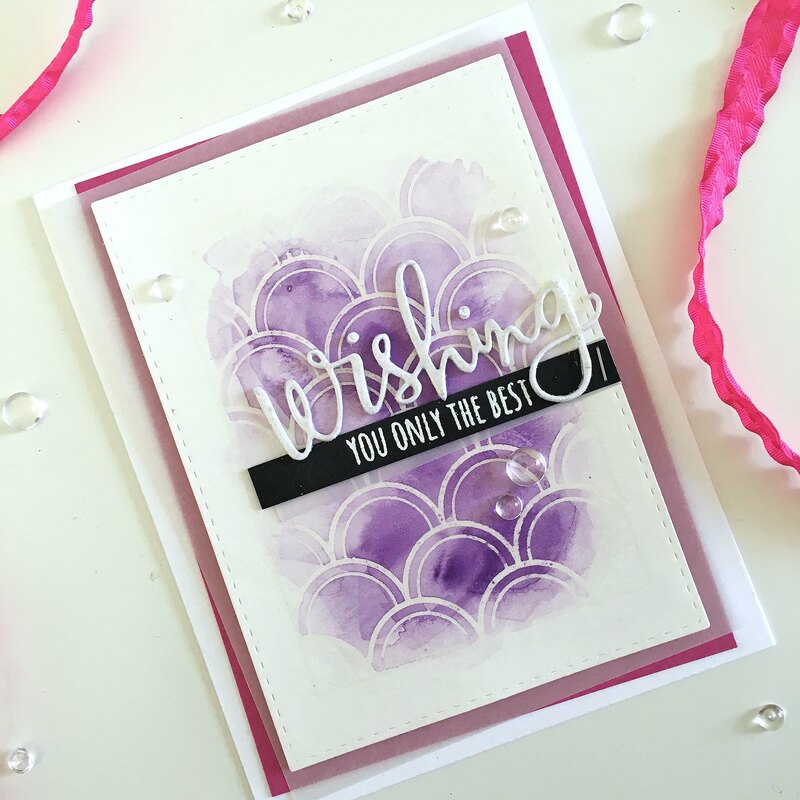 For the next few cards I used the SSS Spring Flowers stamp set. 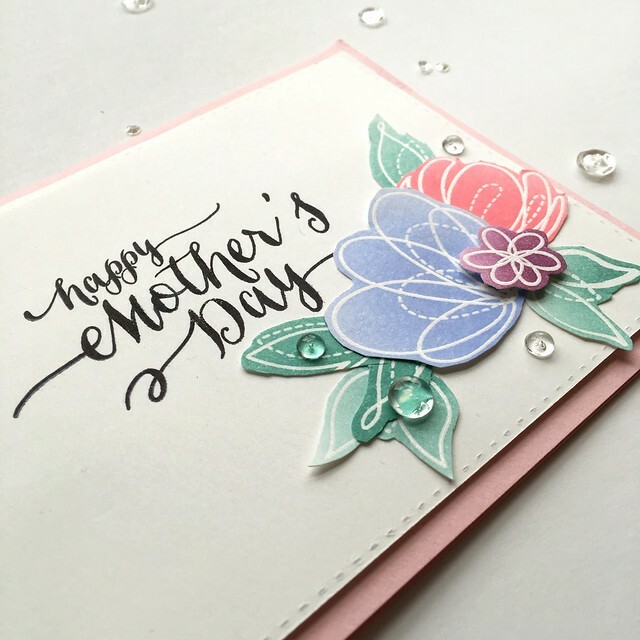 I embossed several images from the set with clear embossing powder and then did some ink blending with distress ink on top of the heat embossed flowers and foliage. 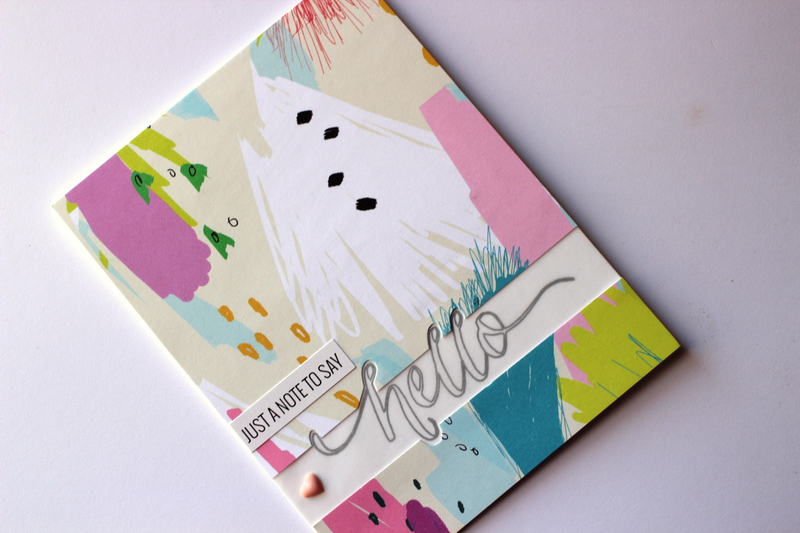 I cut everything out leaving a bit of a border around the edges and then arranged them on the cards. 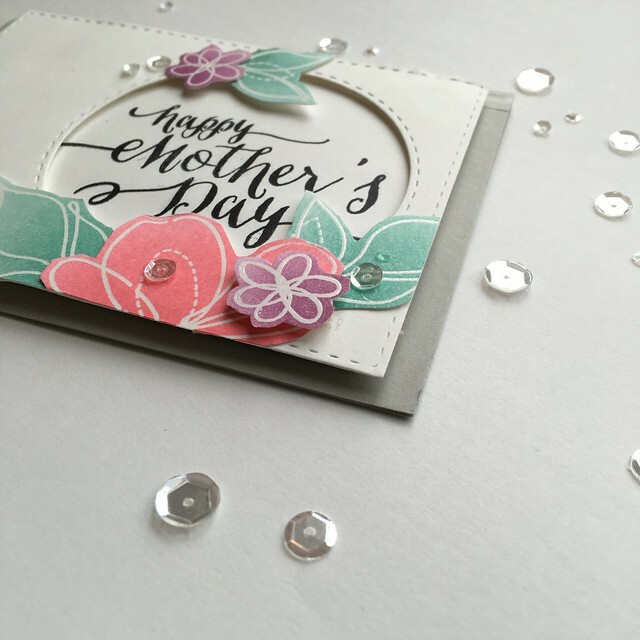 I used a stitched circle die to create a recessed area for my sentiment (I popped the rectangular stitched panel up using some foam tape, and again used the Wplus9 Happy Mother’s Day sentiment. Once I had the flowers arranged how I liked, I attached some with glue and some with foam tape for extra dimension. 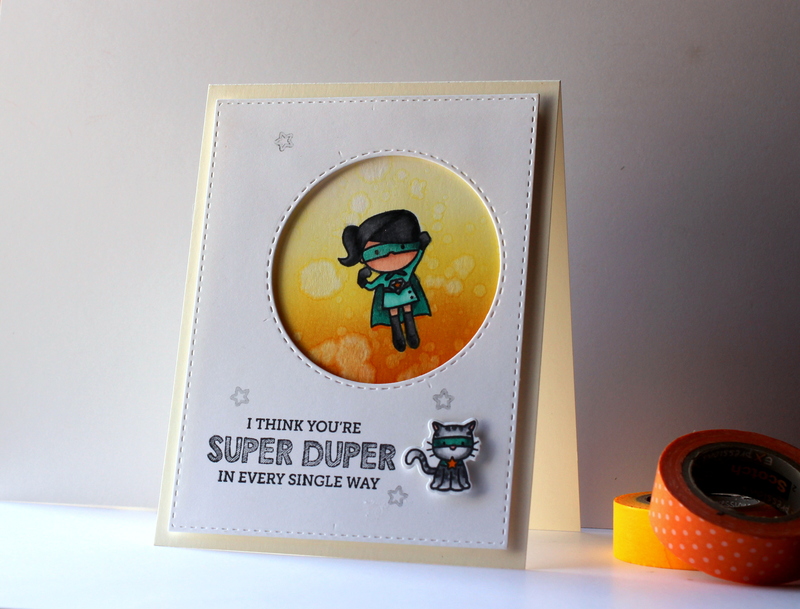 I jazzed everything up with some moonshine sequins and mounted the panel onto a Fog cardstock base. 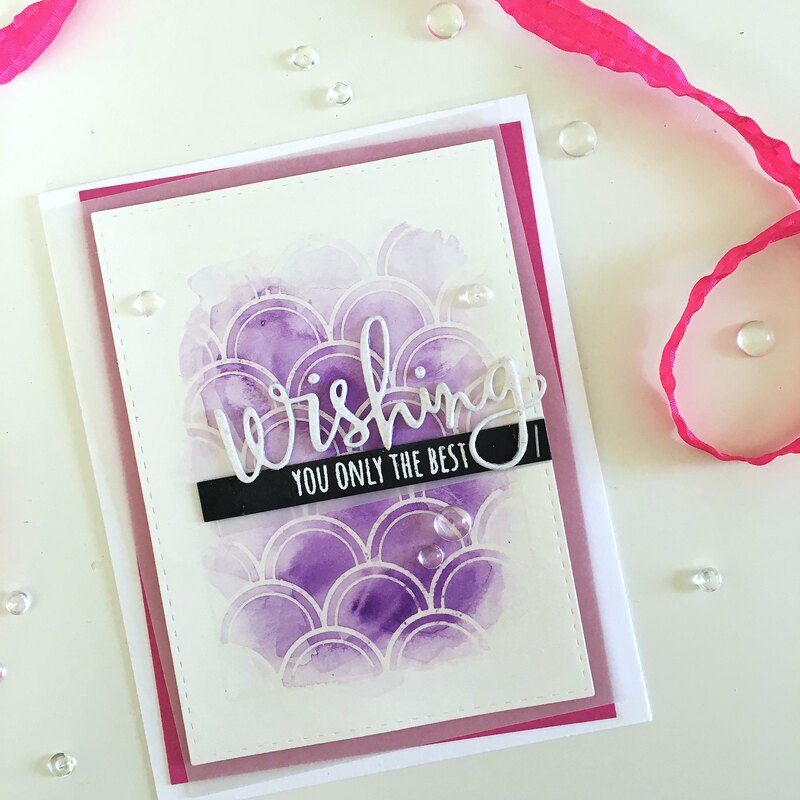 The next card is a bit simpler and has some Pretty Pink Posh clear droplets (I LOVE these) instead of sequins. 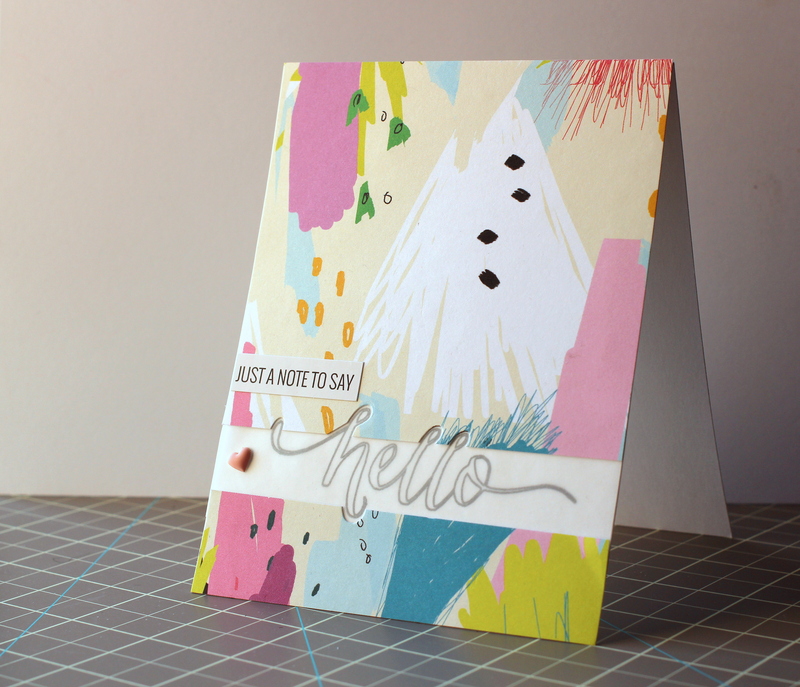 This card is mounted onto a Cotton Candy card base. 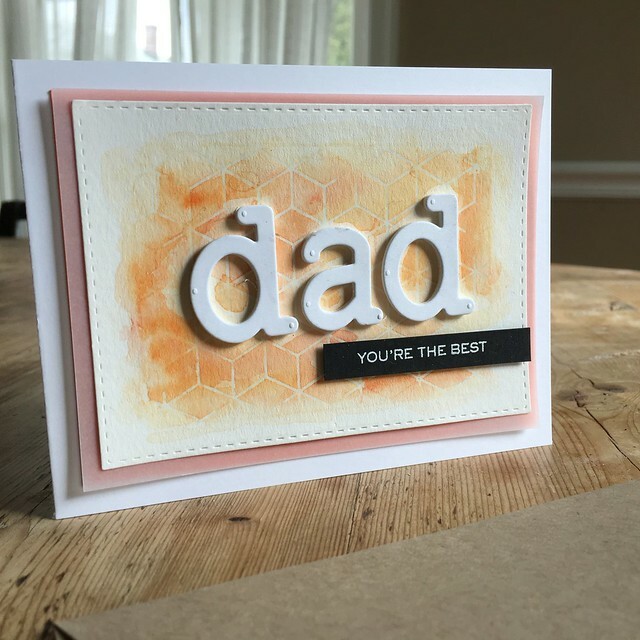 This last card is probably my favorite of the bunch. 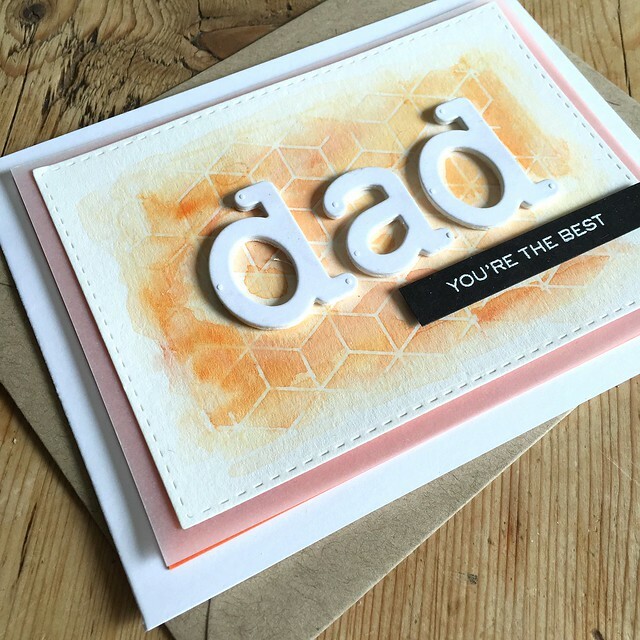 Many of the same elements, but this time I used a Papertrey Ink horizontal stripes coverplate die and built up from there. 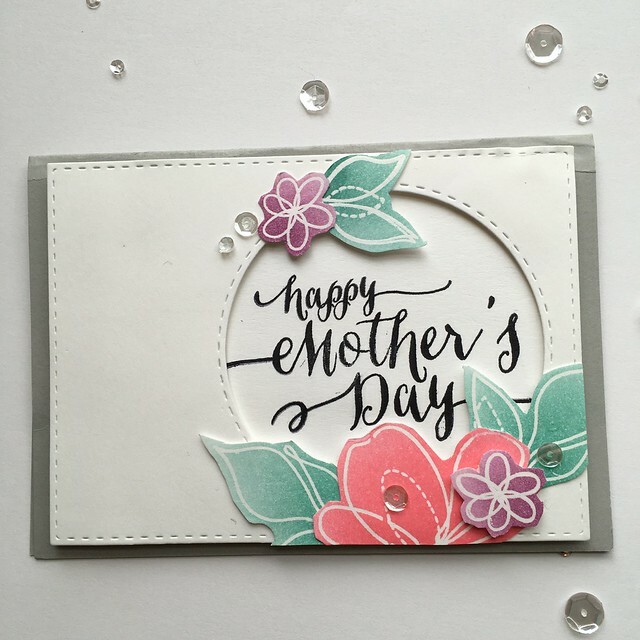 I embossed the sentiment onto vellum using liquid platinum embossing powder and arranged some flowers and added some more clear droplets. I hope all the moms out there have an excellent Mother’s Day! 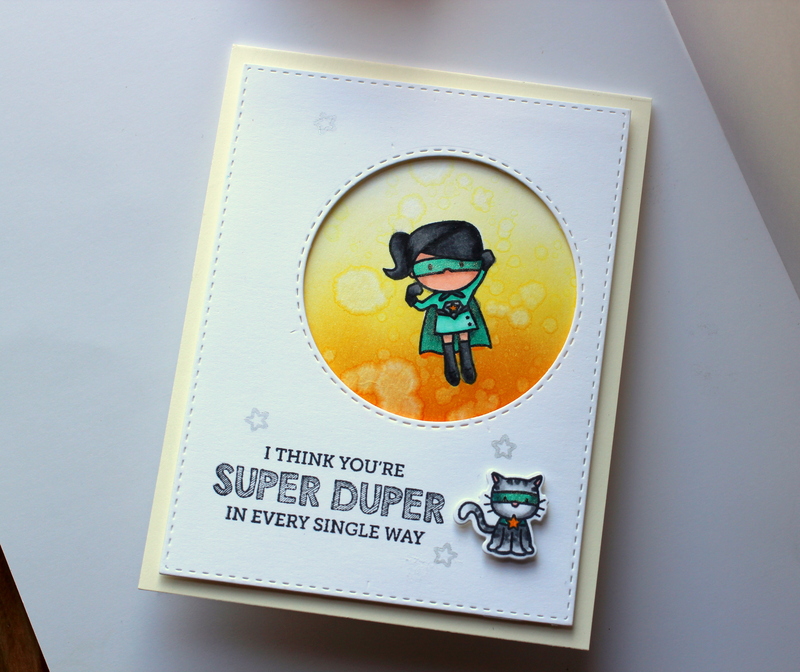 How can you not love a card with a tiny super hero and her super hero cat on it?! 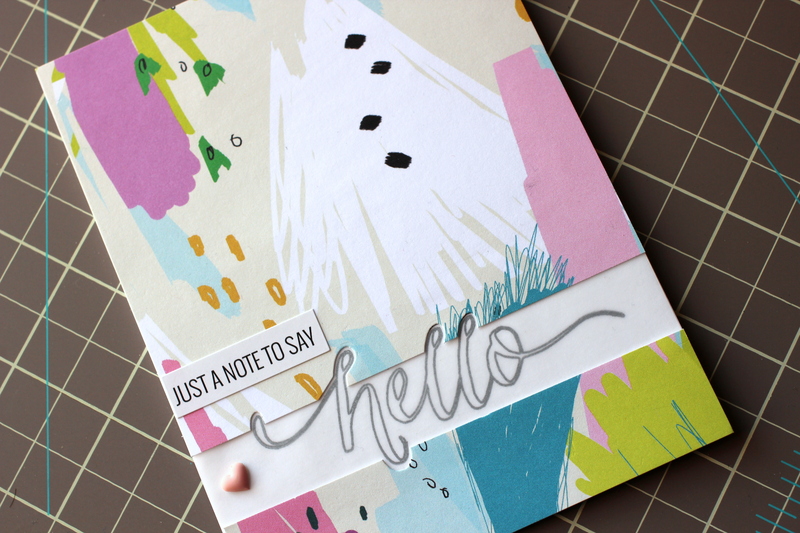 For this card, I simply die-cut a circle window into a card panel. Then, I stamped my super-girl onto another panel, masked her off and used distress inks to color a yellow and orange background (I even added a few water droplets to the distress ink because..why not?). 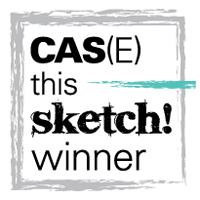 It ended up looking like the little lady is flying a bit too close to the sun! I colored the little kitty to match, mounted him (her?) 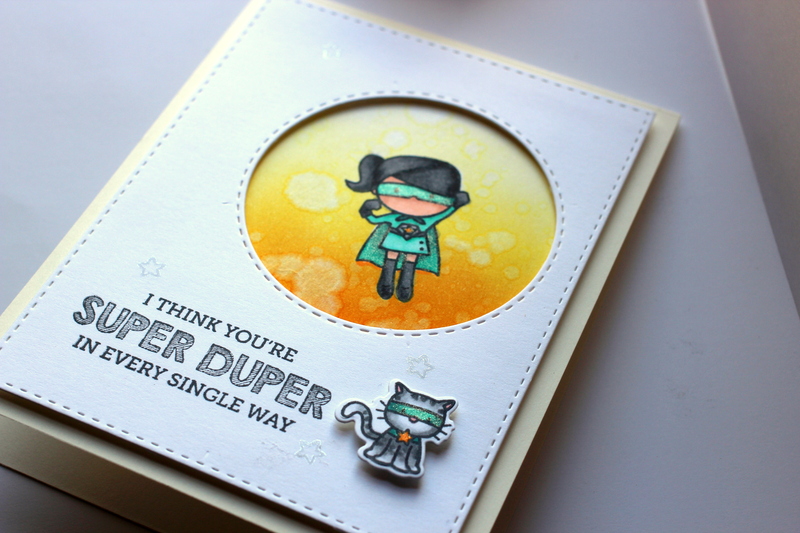 on the front of the panel next to the sentiment, and then stamped a few stars here and there to add a little oomph.